A rare early 10" session by Wynton Kelly – who's working here in a trio format with Oscar Pettiford on bass and Lee Abrams on drums! The tracks are intimate and introspective, with Kelly holding back his bop chops a bit to break out in other moods on the keyboard – definitely the "new sounds" promised by the cover, as the set's sharp enough to be considered with the best Blue Note piano work from the time. 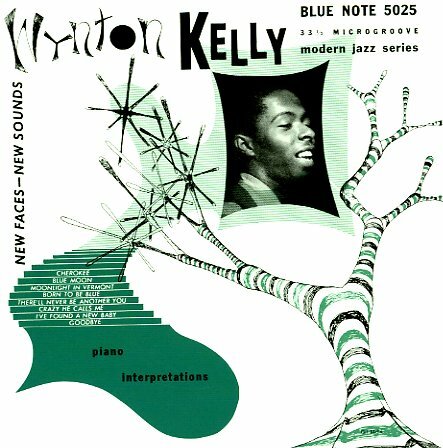 The cover is an excellent Gil Melle abstract design – and titles include "Moonlight In Vermont", "Good Bye", "Born To Be Blue", and "Blue Moon". © 1996-2019, Dusty Groove, Inc.